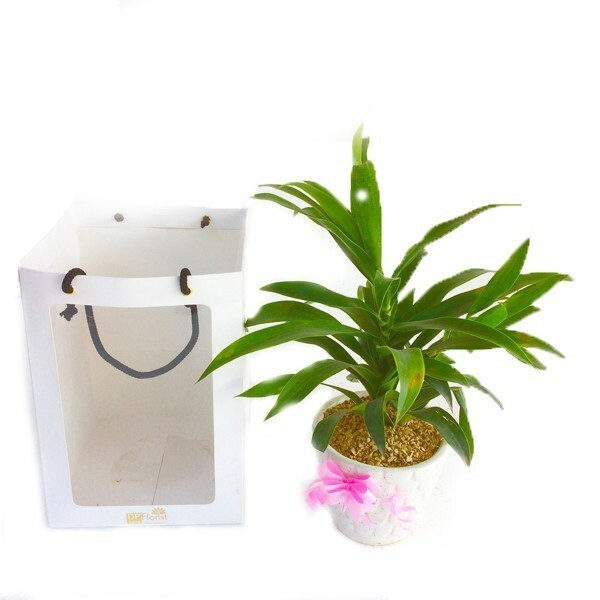 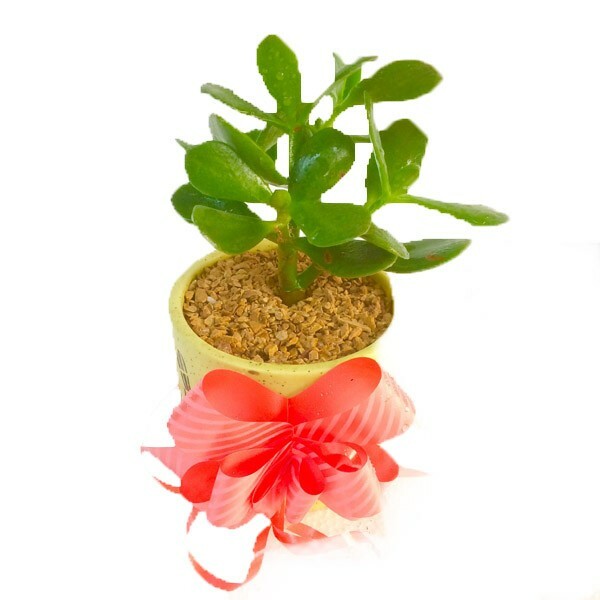 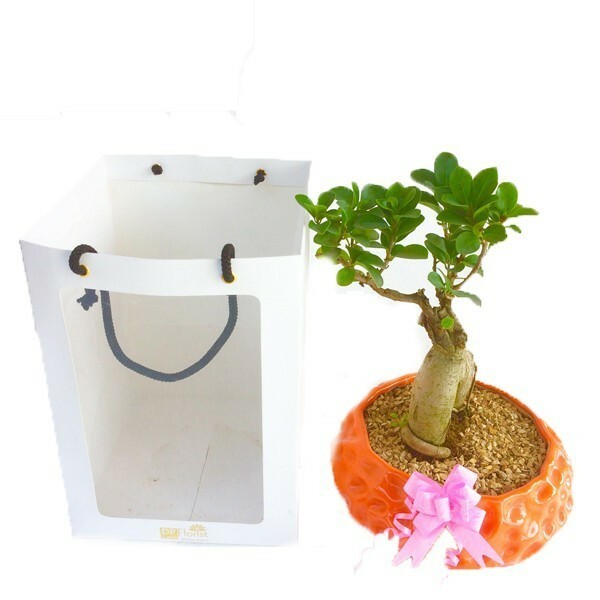 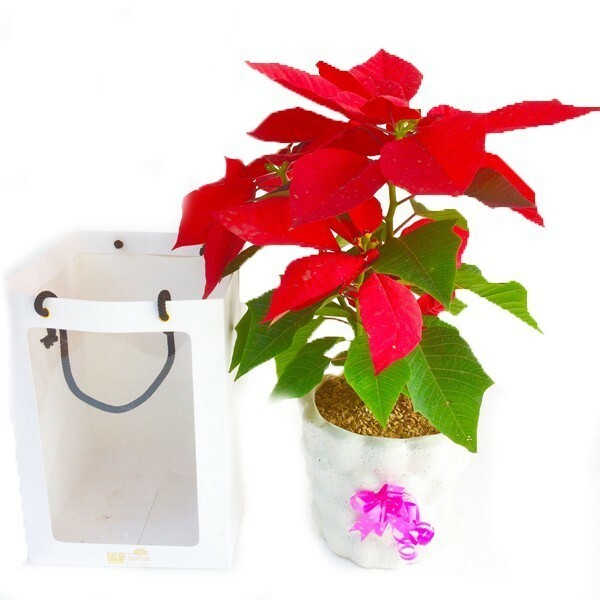 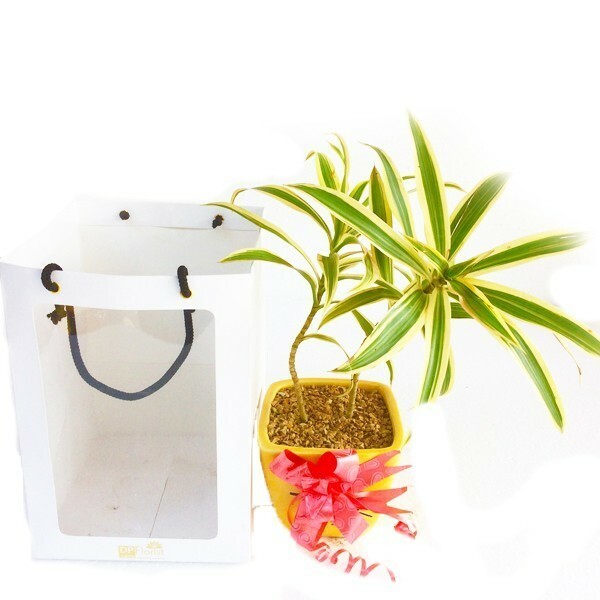 Send this beautiful fresh real indoor plant with high quality lovely ceramic pot decorated with ribbon in a special gifting box that’s making the gift a very special one to your loved ones and surprise them through this unique gift.Its great oxygen plant gets red in winter and turned green in summers needs water twice a week through spray bottle and sunlight for an hour.its a good looking plant for home and office. 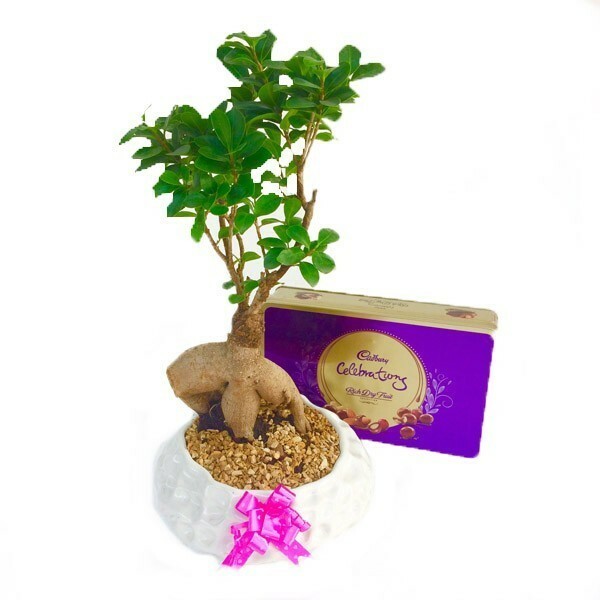 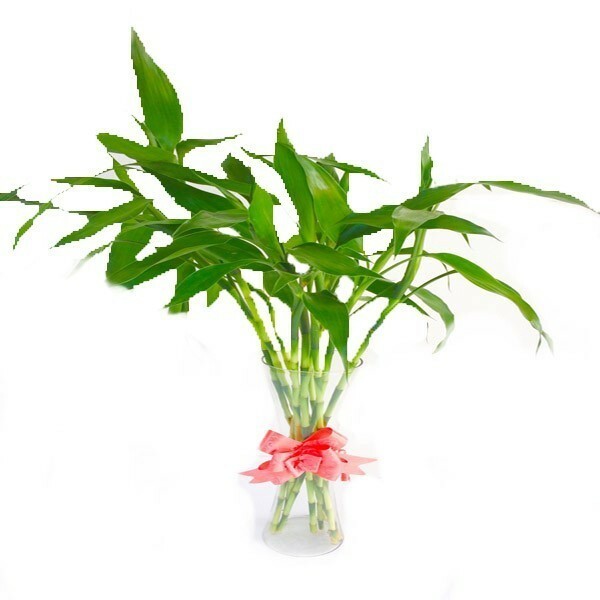 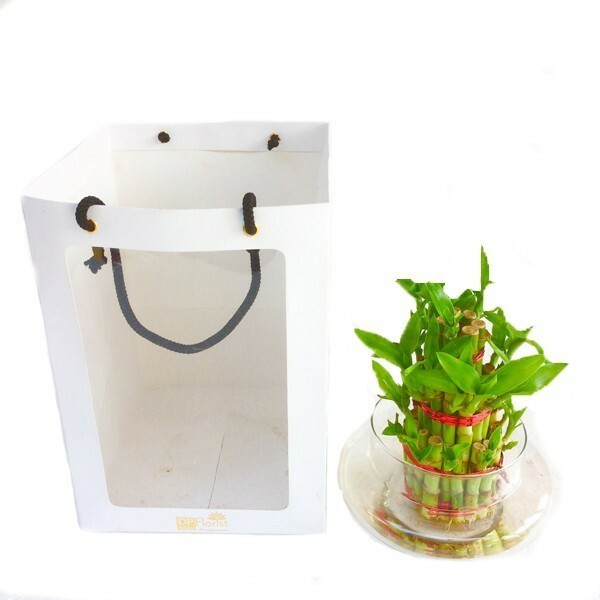 Send this beautiful fresh crasula plant it’s specially for wealth to your loved ones and surprise them through this unique gift. 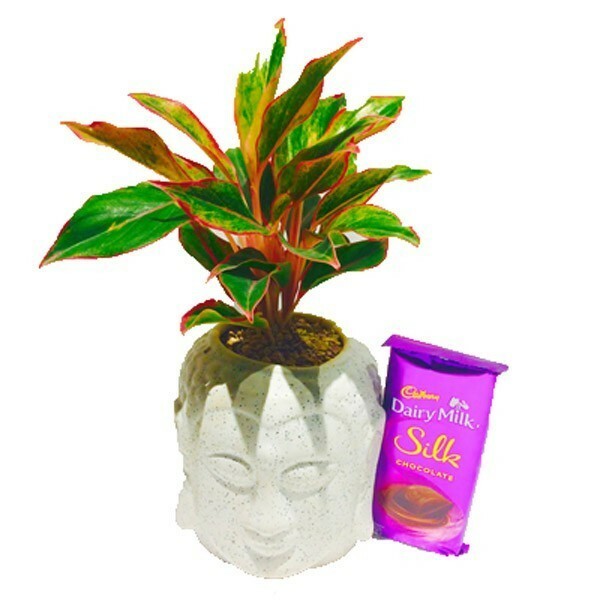 Send this lovely combo of fresh and high quality Aglaonema real plant in Buddha ceramic pot and big Cadbury silk to your loved ones and surprise him her through this lovely gift.This would add the real tough of the sweetness to the relationship.Send it through DP Saini florist. 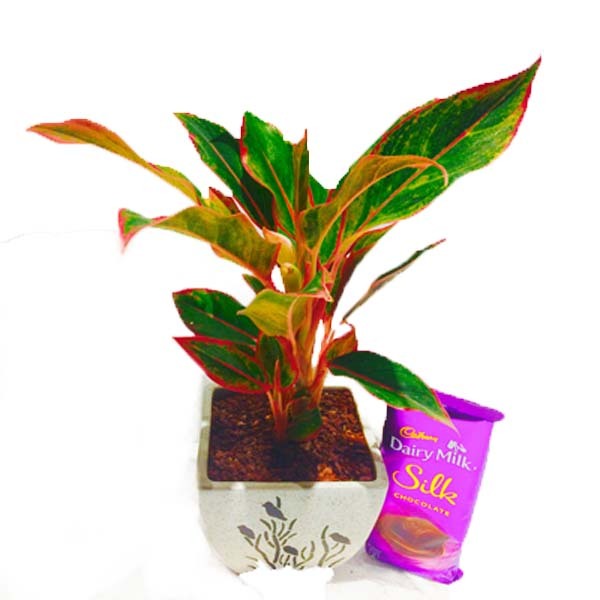 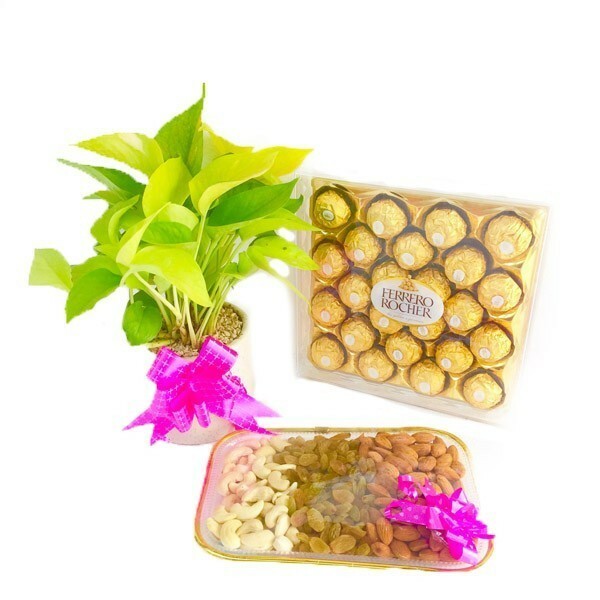 Send this lovely combo of fresh and high quality Aglaonema real plant and big Cadbury silk to your loved ones and surprise him her through this lovely gift.This would add the real tough of the sweetness to the relationship.Send it through DP Saini florist. 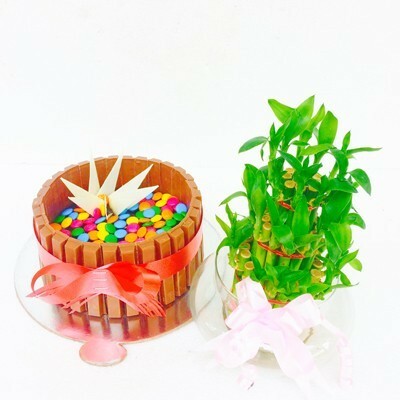 Send this lovely combo of 3 tier good luck bamboo and 1 kg delicious and fresh Chocolate Kitkat cake to your loved ones on any occasions.Add the real sweetness into the occasions through this amazing cake and the good luck tree.